Before trying out this tutorial, its suggested to save the SHSH blobs so that it would help in downgrading from the iOS 5.1 version later on. Warning: Try this tutorial on your own risk, no one is responsible if the jailbreak doesn”t happen and if your device is damaged. DEV TEAM warns users on not to upgrade to iOS 5.1 at all, doing which the jailbreak could be lost. Connect your device to the computer through the USB connection, and then open iTunes and update your device to the latest iOS 5.1 version if you have not done it already. Now start redsnow, depending on your operating system. 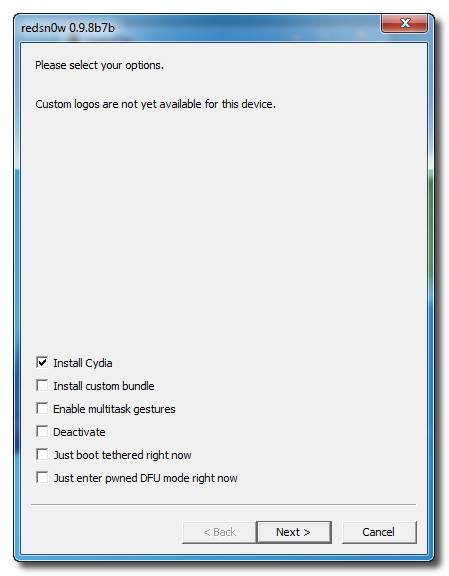 Now “Extras > Select IPSW” and point it to iOS 5.0.1 (not iOS 5.1) firmware ipsw file. In the next screen, you need to select on “Install Cydia”, and there are several other options available, and you can select any depending on your wish and need. 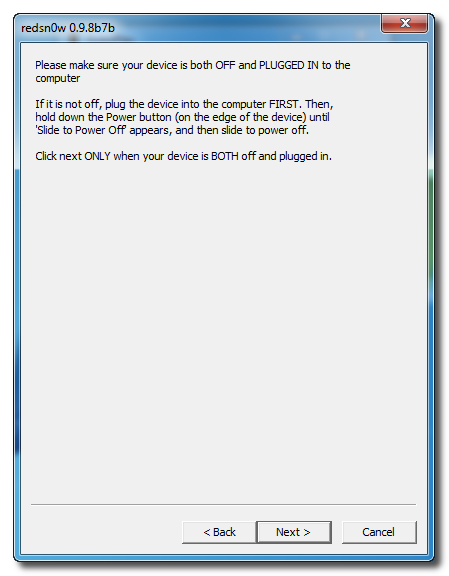 Now make sure your device is both OFF and PLUGGED IN to the computer before you click “Next”. At this stage you will be presented with a screen where you will be guided on how to enter DFU mode. Quickly hold “Power” button and then while holding the “Power” button, you will now have to hold “Home” button too. Now after few seconds release “Power” button but keep holding “Home” button until installation begins.